Ever think the Google Home just doesn't have enough oomph? 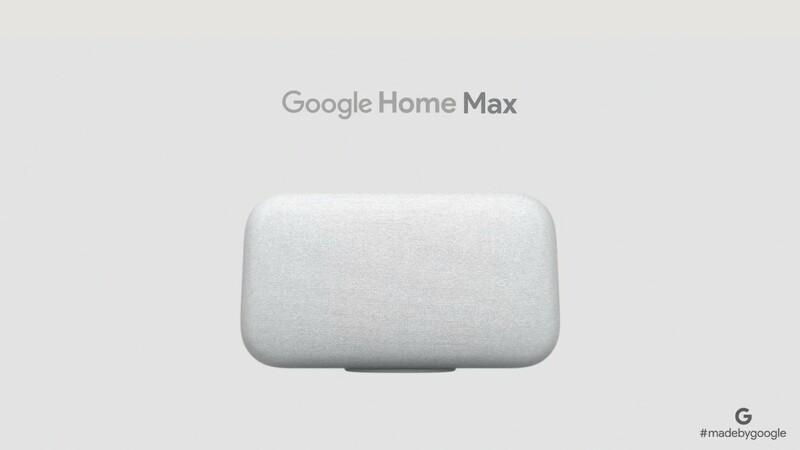 The new Google Home Max should be very much your style. It's loud, with dual 4.5" woofers and custom 0.7" tweeters, giving it over 20x the power of the Google Home. The fabric-covered Google Home Max will be available this December for $399. The Home Max has a new machine-learning system called Smart Sound that adapts content dynamically to best reproduce sound. If you remember Sonos' Trueplay, it's a lot like that. Over time it can also adjust to sounds in the environment like a running dishwasher, making it much more useful in potentially noisy places, like the kitchen. 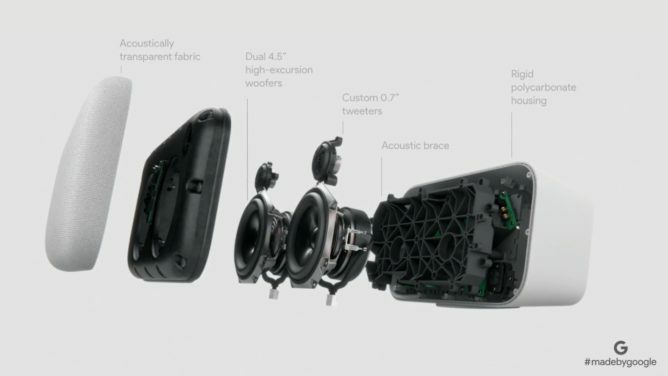 It will also support Bluetooth, Google Cast, and 3.5mm audio as inputs. Like all the Home devices it has the Assistant built-in, and it can even hear your commands while the music is blasting. And thanks to its nifty magnetic base, you can place it vertically or horizontally without having unsightly static rubber feet on each side. It will be available in "chalk" and "charcoal" colors this December for $399, and it even comes with 12 free months of YouTube Red. For now, only US availability has been announced, but more countries will be coming later.